As our current economic model continues to drive us relentlessly towards the precipice of cataclysmic environmental destruction. While simultaneously forcing us to contemplate a ‘lost decade’ of stagnate high unemployment, reduction in the social wage and mass poverty. People are increasingly questioning the logic of a system based upon growth and the boom and bust cycle. For many in the environmental movement and the left generally ‘zero growth economics‘ or ‘steady state economics‘ seems to provide the solutions. However, to see growth as the problem is to buy into a fallacy which lies at the heart of economics. Moreover, in misdiagnosing the problem, those that take aim at economic growth, also provide a cure which is unimplementable. I do not propose that the solution is more of the same old growth mantra. 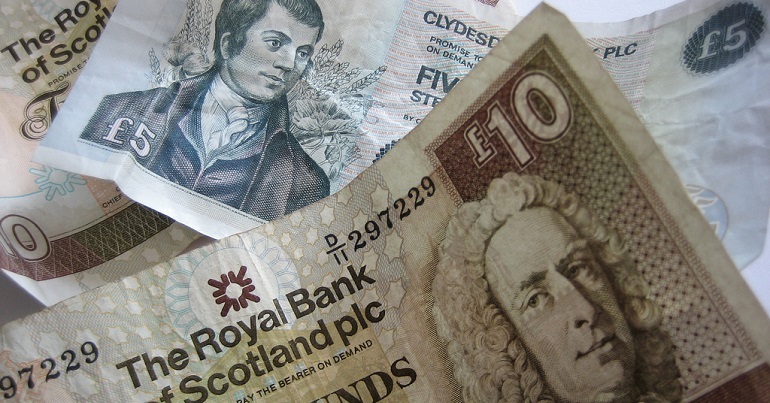 We must recognise instead that growth and anti-growth are two sides of the same coin. The advocates of ‘zero-growth’ suggest we flick the coin from heads to tails in order to discover the solution. When the problem is the coin itself. Or more accurately capital in all its forms. To limit issues of political economy to growth / anti-growth is to accept the paradigm of economics: that exchange-value – determining value through relation to other things – is the only measure of value. Basing their thought on the fallacy of exchange-value the proponents of ‘zero-growth’ close off the opportunity of actual meaningful change which we desperately need. Economists like to pretend that they are scientists, belonging on the same exalted ground as mathematicians and physicists. Needing a veil of legitimacy they canonize numbers, as Joseph Stiglitz points out Gross Domestic Product (GDP) (the total exchange-value contained within an economy) in being easy to calculate has become a “fixation of economists.” In doing so economics has become a tool of legitimisation of capitalism rather then a science of any kind. As Stiglitz points out GDP is a fallacious measure of wealth as “you can increase GDP by despoiling the environment, by depleting scarce natural resources, by borrowing from abroad – but this kind of growth is not sustainable”. This leads to a strange situation in which governments’ economic successes are scrutinised by economists in terms of their ability to increase GDP , which is based upon growth in total exchange-value (which is given physical form as capital). It is unsurprising that “there is no alternative” when economic success is measured in this way. As it would be strange for capitalism to be less successful at increasing capital than other systems, such as socialism. In effect economists are limited to telling us that capitalism is better at being capitalism than anything else. The game is clearly rigged, it’s like having a competition to find who are superior athletes: footballers or F1 drivers, and then proceeding to judge the contest only on ability to drive a car fast. The left must refuse to play this rigged game. Rather than trying argue that alternatives to capitalism can lead to the same levels of growth as capitalism does, we should simply ask growth of what? Obviously capitalism will lead to more growth of capital but socialism will lead to more growth of the social. The advocates of ‘zero-growth’ are unfortunately missing this point too, it is not the level of growth which matters but rather the growth of ‘what’. There is another measure of value which is just as old as exchange-value: use-value – the ability of something to satisfy, directly or indirectly a human desire. This qualitative measure of value was coined by Marx but importantly does not rest upon the discredited ‘labour theory of value‘. Under capitalism competition means that the aim of production must be to increase exchange-value and thus profit. Overall increases in exchange-value or growth in GDP are achieved through increases in efficiency, which result in a reduction of productive inputs (labour, capital, material, energy, etc.) for a given amount of output. This then means that either more of that given product can be produced or if there is no market requirement for an increase in that particular product then labour can correspondingly be reduced, through making workers redundant, thus devaluing labour across the economy and increasing profit . Yet as outlined by GA Cohen if the aim of production is to increase use-value then gains in efficiency would alternatively be used for an equivalent reduction in toil (activity which is unappealing) and the extension of leisure (freedom from unappealing activity). Under such a system gains in efficiency would be used to achieve a continual improvement in poor quality work, so to reduce toil where possible and extending leisure time to compensate for any remaining necessary toil. Obviously, focusing on use-value would lead to radically lower growth in GDP, but it should not concern us at what level that growth is. With externalities internalised by use-value, exchange-value growth would simply be irrelevant. Yet by emphasising the level of exchange-value growth, ‘zero-growth’ advocates are both reinforcing the fetisihisation of exchange-value and failing to highlight a fundamental critique of capitalism as such is reactionary. Capitalism without exchange-value growth is simply not possible, while envisioning post capitalist society in terms of exchange-value is undesirable if not futile. If capitalism is the society of exchange-value then socialism is the society of use-value, or in other-words while the aim of capitalism is the maximisation of profit, socialism is the fulfillment of desire through sustainable and fulfilling work and increased leisure time. We need to shift the debate away from exchange-value to use-value. This new focus would mean an economy which continual uses efficiency to increase leisure and decreases toil. Capitalism is now proving a fetter to human productive development of use-value, Terry Eagleton points out the irony of capitalism is that it generates a surplus of such magnitude that it could massively increase leisure but it creates this surplus in such a way that it “demands constant accumulation and expansion and thus constant labour”. Our slogan should not be ‘no growth!’ but rather ‘Growth for their profits No! Growth in fulfillment of our desires Yes! Sorry I only spotted your reply today Alex. OK, so you rely on ZG being wrong and you being right about traditional exchange-value growth, regardless of what any-one thinks about use-value. As it happens, I think there are some good reasons to think not only that ZG is absolutely necessary but that a reduction in production and consumption is necessary. We will need a more concrete answer to the finitude of our resources than ‘infinite human creativity’ before we think that the current level of production is sustainable. I’m sure we can both agree that what is interesting is whether, even with zero growth, we can still have intellectual and cultural development: yes. Less interesting is whether we can sustain zero growth if we have intellectual development, without the intellectual development inadvertently causing productive ability to increase, which is what you ask about. So long as it is sustainable productive ability that is increased then no-one but a zero growth fetishist would object to the economy growing in an entirely harmless way. Capitalism does have a bias towards EV, such that it increases it even where this fails to boost UV (uneconomic growth). But shifting focus to UV, as you suggest, doesn’t significantly undermine capitalism in itself. Your conclusions rely on socialism being thought better at satisfying desires than capitalism. But of course this is just what apologists for capitalism deny, indeed, the central defence of capitalism is staked on the reverse conclusion. And again, it still seems like you and Cohen rely on a sense of use-value other than simple desire-satisfaction. There’s nothing wrong with this. Obviously Marx didn’t care for desires either. I’ll skip 4 because I already granted it to you for the sake of argument in my post. ii) People support the preservation of the environment in order to satisfy their other desires. There doesn’t seem any guarantee that i) will be the case and ii) needn’t apply to any particular individuals acting now or in the future. It’s certainly not going to maximise human satisfaction to destroy the environment, but it might well best satisfy me. This seems answered by the points I made originally. Zero Growthers largely don’t argue on the basis of puritanism, but on the basis of sheer necessity. Similarly theirs is a position on traditionally conceived economic growth. Saying that use-value, or human flourishing or whatever, is what’s really important is to speak past them. Similarly, most ZGers, at least of those I’ve read, take as central to their position the possibility of a decent and indeed improved human existence even without increasing amounts of stuff. I think perhaps I was not explicit enough on the points that you raise. 1. I whole heartedly reject the notion that zero growth “is absolutely necessary”. Why is it necessary? It is in fact only the eradication of unsustainable growth which it is absolutely necessary. Our resources may be finite but human creativity is infinite. 2. Yes, “steady state’ economy does not imply a static society…dynamic in terms presumably of its cultural production, its intellectual growth, etc.” But how could this be implemented whilst maintaining zero-growth. For example, intellectual growth raises productive ability. It is often argued that zero-growth would be maintained through the contraction of undesirable sections of the economy such as the military. But while this may be possible to begin with, it would be a strategy of diminishing returns as these undesirable sections of the economy become smaller and smaller. 3. It is of course true that “people obviously have (un-idealised) desires for all the stuff that is the target of traditional economic, growth-driven thinking” but I think you are missing a key point. As GA Cohen explains, capitalism has an inbuilt bias towards exchange-value. This manifests itself in the never ending need to expand production and corresponding creation of demand for this increasing production. As opposed to alternatively using increases in efficiencies to increase leisure. He explains this from 9 minutes and 30 seconds into the first clip and continues for much of the second http://www.youtube.com/watch?v=yA9WPQeow9c http://www.youtube.com/watch?v=oD1YEzd6QzQ&feature=related. 2) Peoples’ want for consumer products at the expense of leisure time is largely (though not completely) a result of firms creating those wants through advertising and marketing (or in other words psychological manipulation). Then moving to use-value would clearly move us “away from self-defeating, unsustainable, consumerism” as focusing on use-value would expand leisure time and correspondingly decrease production. I think Cohen’s argument is fairly sound as A) there is much evidence that materialism does not lead to happiness and B) there is much evidence that advertising and marketing are extremely successful (the evidence is both empirical and circumstantial in so much as firms would not spend so much money on it if it did not work). But Cohen explains this much better, than I could hope to, in Chapter XI Use-value, Exchange-value and Contemporary Capitalism of his seminal work Karl Marx’s Theory of History: A Defence. 4. Environmental destruction is essentially a market failure based upon imperfect knowledge. Joseph Stigltiz’s work is pretty conclusive in showing that markets our inefficient and lead to the wrong outcomes when there is a lack of perfect knowledge. Climate change is an extreme case of this, as there is very little knowledge amongst actors of the true costs involved. This is why it may not “seem obvious that there is sufficient human desire to maintain the environment” but if people were aware of the true cost (through use-value) of environmental destruction I think we would certainly see a change in behavior. 5. “How is this actually to be established and made manifest in policy?” This is an important question, and there are no doubt numerous ways. For me personally, I would say that the key elements would need to be radical democracy in both the political and economic spheres – so that people could collectively determine use-values, the extensive use of planning and regulation to achieve the maximisation of the ascribed use-value and macro-economic stabilisation instruments such as an international clearing union to maintain them. 1. Talking about zero-growth rather than expanding use-value comes across as puritan and anti-progress. Any program of change must provide a positive alternative to the status quo which expands our horizons by being based upon the fulfilment of our desires not the limiting of their achievement. While change will not be possible if that change makes people materially worse off. 2. By ignoring capitalism zero-growthers underplay the real political difficulties in achieving meaningful change. They suggest that both zero-growth and capitalism are compatible when they are categorically not. And this underplaying of the need for radical anti-capitalist social change makes the change which we desperately need incalculably harder. I’m, of course, sympathetic to much of the sentiment that I think lies behind this post, but disagree quite substantially on a number of points. Firstly, I think you misrepresent the zero growth position. This leads to two problems, one minor and one cataclysmic. The major problem is that you don’t seem to acknowledge that zero growth is advocated, by many people, not merely as a highly desirable outcome or a very effective solution to a problem, but as absolutely necessary. Your criticism(s) of Zero Growth rather miss this point. “It is not the level of growth which matters” you say, but- without wishing to labour the point- Zero Growth is often advocated as absolutely necessary for the long term sustainability of the planet. Saying that Zero Growth “close[s] off the opportunity of actual meaningful change” or “misdiagnoses the problem” or “provide a cure which is unimplementable” is to miss the point. If Zero Growth is unimplementable, so its advocates will say, we’re all doomed. I think it might be missing the point a bit to chastise Zero Growth [of exchange value] theorists for missing the point by talking about exchange value. Theirs is a theory of the impossibility and undesirability of increasing amounts of stuff, so it seems unfair to ‘object’ by denying the importance of stuff. Not only that, but insisting that use-value is what’s important simply fails to take a stance on the important question of how much economic growth is desirable. On the question of use-value, your position is highly redolent of various happiness-based approaches to economics/public policy. This is to be lauded. So become a utilitarian already. I know some-one who can lend you the books. Of course, what you actually write is of “the ability of something to satisfy, directly or indirectly a human desire.” This seems more problematic, given the much remarked upon (in economics) nature of human desires. People obviously have (un-idealised) desires for all the stuff that is the target of traditional economistic, growth-driven thinking. Switching tack to use-value defined in this sense which, I think, is probably the more accurate one, doesn’t get one anywhere in terms of moving away from self-defeating, unsustainable, consumerism. Further you say that “assuming it is a human desire to maintain ones environment, the value of ecologically destructive products such as fossil fuels would be massively devalued.” But it doesn’t seem obvious that there is sufficient human desire to maintain the environment. Certainly people’s actions now would seem to suggest that they prefer their stuff, however much they value the environment. Let’s assume that in some (perhaps idealised) sense people do desire the maintenance of the environment more than they desire increased stuff. How is this actually to be established and made manifest in policy? To say that “if production were aimed towards producing use-value then significantly less production would be necessary” seems a little dubious and also a little weak. Weak, because the Zero Growthers demand a steady state and often a steady state that we must contract towards. i.e. we need to reduce our economic activity, not merely focus more on use-value than traditional growth. Dubious, for one thing, because there still seems (functionally) limitless potential to satisfy desires through increasing the amount of stuff. Ultimately I agree with the statement that use value is what is valuable and not exchange value (who would object- after all, capitalism is defended in precisely these terms). I’m not sure you can draw a contrast between capitalism as the society of exchange value, Zero Growth as the other side of the same coin and socialism as the society of use-value in the way you wish. er, good luck with that. I had Eudaimonia once – when I was down in Cambridge. Lovely girl. This is all to hyper-real for me. You lot must be really clever or something. Oh yeah, kids… war is bad. Moreover, there is nothing noble and special about people having to work 16 hour days in sweat shops. But that wasn’t what you were talking about, was it? Because people who do those jobs are not really doing them, by and large, I would think, simply because they have been gulled by a fantasy about consumer goods. They do it so they can have enough to eat and somewhere to live and hopefully an education for their kids. I think you were talking about why it is that people in wealthy countries go on struggling to have a newer tv set or a bigger car when it seems obvious that this will not make them happy. 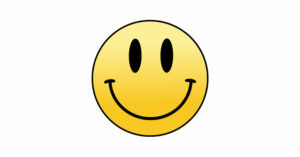 A friend of mine once quipped – ‘people say money can’t buy you happiness, but then, happiness isn’t everything, is it?’. Because the thing is that there is really something else at stake when people struggle constantly for more material acquisition, and this is (or at least, this is what I was saying it was), the kind of Aristotelian happiness which comes not from simply enjoying one’s life in the day to day, but rather from being able to say that one squared up to whatever sorts of challenges a given culture offered you to face, and in dealing with them exhibited qualities of human character. Now I’m not defending capitalism here. I think that what capitalism offers is mostly a total sham of human excellence and achievement. But I do think that this sham is pretty important in motivating people. I suspect that people liberated from financial need would still feel a powerful desire to prove themselves in one way or another. And much of this proving of self would entail something amounting to work, because this, in a sense, is what “human potential” is. Human potential is humans displaying qualities like courage and justice and temperance and wisdom, as made intelligible by particular cultural norms, and afforded by particular situations, and human art is essentially the commentary on these excellences. And either way, these are things to which even people who own their own time more or less may devote an inordinate amount of it. With regard to your final comment, then, I would agree with you absolutely: the economy would ideally be organised in such a way as to maximise people’s ability to meaningfully feel that, in some particular sphere at least, they have had at least a good chance to really excel. Although I think that this requires at least notionally that there be something at stake. The paradox this produces is that it requires that we live in simulacra of some sort. We should genuinely aspire to a world with no more war, for example. But this does not mean we aspire to a world with no courage. We should aspire to a world with no more want. But this does not mean that we aspire to a world with no temperance. We should aspire to a world with no more want. But this does not mean that we should aspire to a world in which people do not have the opportunity to be just. Therefore, we must aspire to a society which somehow virtualises and simulates the situations in which these things can be exhibited. But in such a society, people might come to believe that those things which are in fact mere tokens, played for for the sake of the game itself, are somehow more important than the actual stuff of life and death itself. The management of such an inherently unstable situation is, I think, the central long term problem for any possible just future for man. I guess that’s what I was trying to say. I didn’t disagree with most of your post, and I wasn’t really trying to be contrary – I just find this particular subject pretty interesting. Unfortunately I find your definition of happiness to be no less simplistic and far more problematic. You define happiness as “the sense of appropriate pride in having managed to be an outstanding person.” I don’t think that it is a requirement of happiness perceive oneself as ‘outstanding’ i.e. better than most others. Do your children make you happy because the give you a sense of being superior (to the appropriate level – whatever that means) over other parents . Do you think a child in a sweatshop working 16 hours a day can be happy as long as they can achieve a “sense of appropriate pride in having managed to be an outstanding person”. Why should a solider in the First World War worry about life in the trenches or even getting blown to pieces when to be happy all he need do is achieve “the sense of appropriate pride in having managed to be an outstanding person”. Your definition is further muddled by this “appropriate level of pride” qualification, how is this to be judged is it an objective or subjective level? If I have slightly too much or slightly too little pride will I suddenly stop being happy. If we have two identical people who only differ in their level of pride will this actually impact their happiness far more than if they differed in other ways such as one undertaking back breaking work 8 hours a day while the other goes surfing? I think not. Nevertheless, I make no reference to happiness, but simply human desires, therefore, if its, after all, people’s true desire to acquire “the sense of appropriate pride in having managed to be an outstanding person” then the economy should aim to maximise this use-value, but I think it more likely that most people would prefer a the extension of freedom form unappealing activities so that they can develop their full human potential. Alex, I think that the problem with your argument here – and it’s a fascinating problem – is that you seem to have a rather simplistic utilitarian notion of what happiness is. I think that what we want is not happiness in the sense of pleasure, or in the sense of less toil (which perversely is the sort of happiness which capitalism’s entertainments and labour saving devices are supposed to offer us in the first place). I think what we want is eudaimonia in the Aristotelian sense – the sense of appropriate pride in having managed to be an outstanding person. People will always strive for this, and the irony of capitalism is that it harnesses our need to strive for human excellence (measured by whatever cultural yardstick happens to be at hand) and, having relativised away all other forms of culture, yokes this to the notion that material and sensory comfort is the only thing meaningfully worth striving for. Thanks for the comments, sorry this is longer than I intended but thought I should do my best to respond to some good points. Nishma when you say “amongst the degrowth circles, growth is seen as the ever renewing desire for more” you raise something which I wanted to cover but did not have space to do so. It is this negative almost puritan view, that we need to make do with less and give up on material progress, which I think is dangerous and would make social change unappealing to most sane people. I want ‘more’ and so do all rational human beings, but the problem is rather that the current focus of production on exchange-value has lead to corporations using sophisticated psychological techniques to twist our desire for wanting more happiness and less toil to wanting more consumer products. The aim of the left should not be the denial of human desire but the maximisation of our true desires – for which material progress is certainly necessary. In regards to reuse-value, I don’t think it would be necessary to draw a distinction as if production was aimed towards the maximisation of use-value and it were more efficient to reuse a product, then it would automatically be reused as otherwise use-value would not be being maximised. Keshav, I think that firstly a definition of capitalism would usually include at some level a degree of market competition in regards to the distribution of goods. This is certainly the case with every existing form and historical example of capitalism. As soon as we combine competition with private property then we create a situation where firms must, on pain of bankruptcy or take-over, constantly increase their profit and thus drive exchange-value growth. For example, if we have two car companies A and B. A is run by Jane who realises that the current levels of growth are unsustainable, so she decides to maximise the use-value of the cars her firm produces by making them from the best materials so that they last 100 years. Meanwhile Henry who owns B continues to maximise exchange-value by making poor quality cars which only last 10 years, he then spends the money saved from using cheaper materials on advertising telling people how great his cars are and how rubbish A’s are. This results in people not only buying B’s cars but having to buy 10 times as many than if they had of bought A’s. Thus eventually A will go bankrupt or, alternatively, B using its extra income will buy out A. However, even if we assume that distribution should not enter into the definition of capitalism, private ownership would still create a strong incentive for the owners of the private property to have a bias towards exchange-value rather than use-value. As such I think it would make zero-growth unimplementable in a democracy, as the result would be vast unemployment. For example, Henry still owns car company B but now the state sets the number of cars he needs to produce, the price he receives for them, what the workers are paid and how the cars are distributed amongst the population (the closest historical example of this kind of system is not capitalism but fascism). Now Henry realises that having each worker do a small piece of work on a production line rather than a skilled job can increase efficiency (amount of labour per unit of production) by 100%, the state has told him to to produce 1000 cars so there is no point increasing production, so he has two choices: reduce the working hours of his workforce by half or alternatively sack half his workforce. He will logically choose the latter as reducing the working hours of his workforce would not increase his profit (but would massively benefit the workforce) while sacking half his workforce would half his labour costs increasing his profit by double. Thus Henry will seek to increase exchange-value rather than use-value. On a macro level if you have capitalists seeking to increase profit and the state seeking to maintain production a set level the only way this could be possible would be through constantly growing mass unemployment. Seb, I certainly agree with you that a cooperative society (a long with state regulation and planning) is the best way to achieve all of this, although I think the aim is rather to recouple exchange-value and use-value so that former reflects the later, as exchange is an useful thing. Primitive tribes (up until they started trading with other tribes) would have based production purely on use-value but it is only under capitalism that use-value has become totally subjugated by exchange-value. Agree with Keshav regarding growth in use values being decoupled from physical production has no historical precedent. I find this very confusing, can someone answer this? Is there any historical evidence? Because all the precedent, all previous growth/collapse scenarios I can think of, seem to show clear correlation of growth of production/consumption underpinning growth in knowledge and other qualitative aspects of society. For me though, the most important issue isn’t primarily about whether we can decouple capitalist growth from use-value and qualitative growth, but rather that we build a cooperative society so we can make these decisions in the most participative, directly democratic way possible – i.e. the only way people will accept the outcome as it would be based on their thinking and work. I agree with Keshav that it’s an open question as to whether it is possible to decouple growth in use values from physical production, but I don’t think the fact that there is no historical precedent for it having previously been achieved is all that relevant. I’d question what historical precedent there is for it having been attempted. At present our economy is designed to increase exchange-value, with little concern for conserving physical production, and growth in use-value comes primarily as a by-product of that increase in exchange-value. Were those relationships to be fundamentally re-ordered I don’t think we can say with any certainty whether we could maintain or decrease physical production whilst increasing use-value. Like Keshav I hope we can, and I believe (though admittedly with no real evidence) that we could. What I think is important, though, is that we do re-orientate society so that maximising use-value per unit of physical resource is our primary economic aim, I think we can probably all agree that whether doing that results in a maintenance of use-value or a growth (something we will only know when we try) it should be our goal. Agree completely with your main point – growth of physical production, growth of GDP and growth of use values/human happiness (however measured) are three different things, and we need to distinguish them when considering whether zero growth is inevitable/desirable. I think it’s still an open question whether growth in use values is possible without unsustainable growth in physical production – I hope it is, though it would be historically unprecedented. Just a small question – you say “Capitalism without exchange-value growth is simply not possible”. This kind of claim is quite common, but I’ve never understood the reasoning behind it. Why don’t you think steady-state capitalism is possible? (Assuming we’re defining capitalism as private ownership of the means of production, wage labor, etc., so it’s not ruled out by definition.) Of course I agree it would be undesirable (it’s still capitalism). Excellent article as ever – and a useful discussion of the classical marxist theory of value. 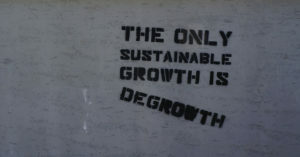 While I agree that “degrowth” should be not the focus, but instead the consequence of good economic policy, I think the fundamental problem lies within the definition of growth. In amongst the degrowth circles, growth is seen as the ever renewing desire for more. It’s the concept that it is “cheaper” to buy new than to repair, and it is the consequence of externalised costs. In other words, where the use-value is higher than the “priced” exchange-value, but because the real exchange value is hidden and instead charged to the producer. The degrowth argument is therefore that goods be priced at their actual value, and that the use-value be determined by the reuse value as well. “Growth” is a clumsy word, largely because of the relationship it shares with GDP and resource consumption. Degrowthers tend to see the two words as inseparable, and argue that only through reuse and sustainable resource management can we really ensure that climate change and capitalism be defeated. Degrowthers, on the large part, don’t connect “growth” with non-material expansion. That disconnection holds strong in the French concept of “croissance” where growth in knowledge is not comprehended through the use of the same term. I think when we speak of growth we do need to be careful about the definitions we use – because that which is an economic term does not always mean the same colloquially.